﻿﻿Tyler Merna, sixteen years old, is a young actor who can be heard in the hit Disney animated series “Sofia the First,” taking over the lead role of ‘Prince James.’ A dedicated young performer, Merna got his start on the stage in community theater and both off-Broadway and Broadway shows, shortly thereafter moving onto sketch comedy and television roles. Throughout the years, he can be seen going back to his roots, and the entertainment world is taking note, casting in him in roles where he gets to show off his singing chops. 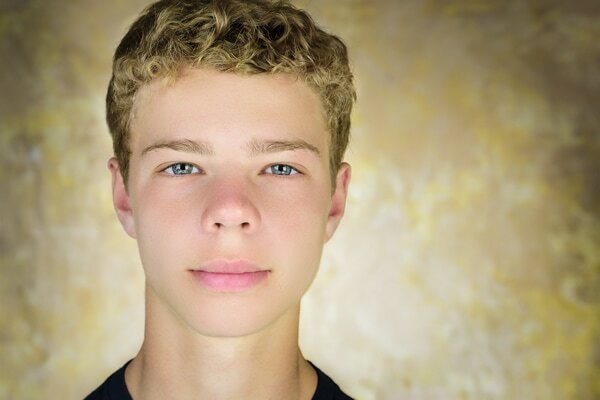 Tyler will soon to be seen on FX in "The Americans." Singing continues to be a passion for Merna as he can be heard belting out tunes throughout his young career. Most prominently, he can be heard singing in “Sofia the First” as well as “30 Rock,” showing off his singing chops in a duet with Jane Krakowski. Other stand out moments include singing the National Anthem at the Los Angeles Lakers basketball game as well as singing backup for Macy Gray at a benefit concert. Merna, a New York native, currently resides in Los Angeles while pursuing his craft full time. He is a huge fan of comedy and looks up to actors such as Jonah Hill, Seth Rogan, James Franco, and Will Ferrell for their impeccable comedic timing and breakthrough into mainstream films. He is a competitive lacrosse player, competitive soccer player, and black belt in Tae kwon do. Every year Merna donates his birthday to “Laces of Love,” a Florida based non-profit organization that provides shoes for kids who can’t afford the basic necessity, and encourages friends and family to give to the organization as a form of a birthday gift.